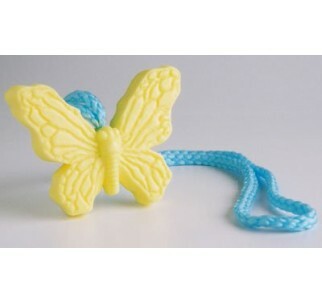 When you catch this butterfly, you'll discover a glycerin soap-on-a-rope that's made by hand and incredibly detailed all around! Made of cruelty-free 100% pure vegetable glycerin, this work of art is a great bath soap with a scent reminiscent of a country garden. NOTE: As with real butterflies... colors may vary!